Having trouble completing those pesky Vidmaster Challenges in Halo 3 and Halo 3: ODST? 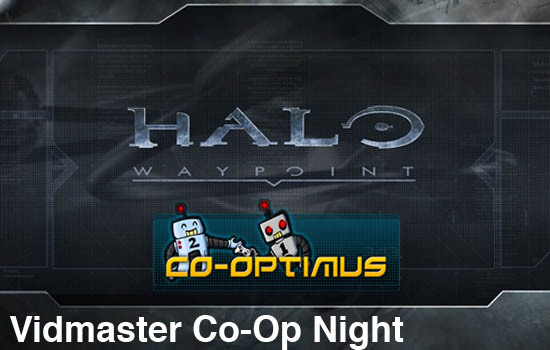 We're back once again steps in to lend a hand with a Waypoint Co-op Night, teaming like-minded Halo fans for mission specific cooperative play. This weekend the focus is the elusive Vidmaster Challenges! Find some friends and drop into combat tonight to finish off the challenges and get one step closer to your very own Recon armor. Vidmaster Challenge: Annual is a Halo 3 XBL-exclusive achievement where the player has to complete the level Halo on four-player Legendary Co-Op with the Iron Skull activated, and everyone in Ghosts. Vidmaster Challenge Endure: In Firefight, on any mission, pass the 4th Set on 4-player Heroic LIVE co-op. Vidmaster Challenge Déjà Vu: Complete Highway on 4-player Legendary LIVE co-op, with Iron, and no 'Hog or Scorpion. Everything kicks off this Friday at 8PM EST on Xbox Live and Halo Waypoint. Just leave your gamertag below or look for the following Gamertags on Xbox Live to play. Here's the Facebook page if you'd like to confirm or leave screens!